Adorable. 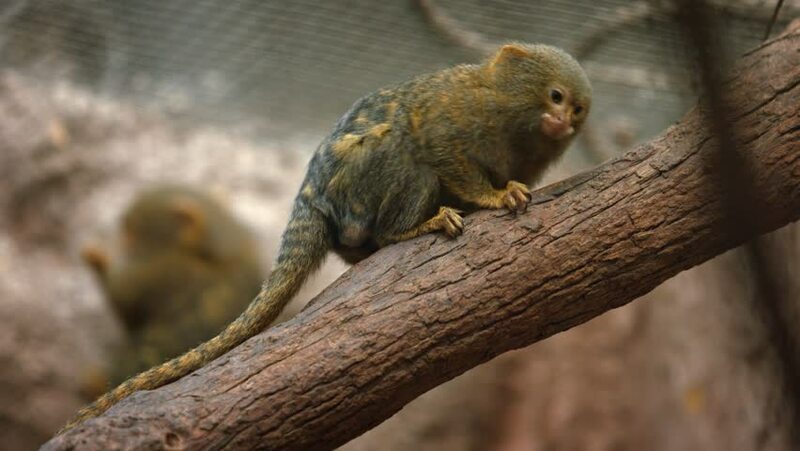 adult pygmy marmoset. with its mottled fur and prehensile tail. on a branch in his habitat enclosure at a public zoo. hd00:05Pygmy marmoset (Cebuella pygmaea) is small species of New World monkey native to rainforests of western Amazon Basin in South America.